Bhojpuri | It's a Miracle! Valentine’s Day is almost upon us. I know there is a big fuss in India over whether anyone should be allowed to celebrate it because it is a foreign import. Me? I personally draw the line at World Toilet Day (even though it is for a good cause). As a public service, I’ve gone out to find the worst possible Valentine’s Day gifts. A warning: don’t blame me if you find these gift ideas tasteless. I only report what I see. So what if it doesn't snore? 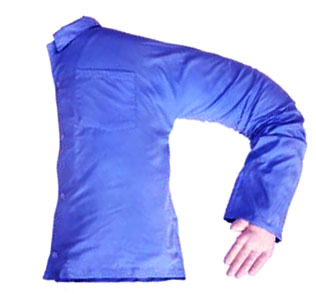 The “Boyfriend Pillow” was originally created for single Japanese women who wanted a pillow in the shape of a man’s torso and arm so that they could cuddle up to it. It was marketed as a substitite for a boyfriend, and I’m sure some women appreciated the fact that it didn’t snore, eat in bed, or take up more than half of the space. But why should Japanese women be so special? A variation of the boyfriend pillow, is available from Amazon and will ship to anywhere in India. But despite the name, it is not a gift you should give your boyfriend (or husband). Apart from the fact that it is downright creepy, it sends the wrong sort of signal to the man in your life. Yes, I know the pillow comes with a “removable microfiber shirt for easy care.” It might even be great for snuggling up to since it has extra support for the neck and upper back. What you should be asking is this: does the man in your life really need a pillow in the shape of another man complete with arm, hand, and fingers to cuddle up to? And we are not being judgmental here: this has nothing to do with how he feels about others, and everything to do with how he feels about himself. 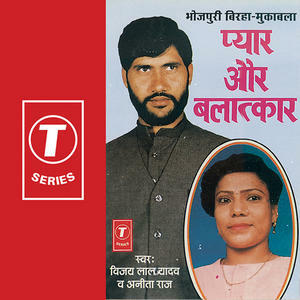 I’ve seen a lot of weirdness in my time including the Bollywood film Khopdi – The Skull, but the title of this album of Bhojpuri music made me burst out laughing. It was the only thing I could do to keep myself from crying. If you cannot read Devanagari script, I apologize: I will not translate out of fear of attracting the wrong sort of web-traffic! Bottom-line: Ladies and gentlemen, if want to live a happy and prosperous life beyond February 14, remember the lessons of the Valentine’s Day Massacre. Don’t buy these gifts if you have any dream of self-preservation. And now, that I’ve had my say, I feel so much better. Fair-use rationale for album cover image : not-for-profit review of work using low-resolution image where no free equivalent is available. Image copyright: T-series.